UPPER EAST SIDE, Manhattan (WABC) -- Police have arrested a man in connection with one of two muggings this week in Central Park and on the Upper East Side. Luis Muniz, of Manhattan, has been charged with robbery. Police said he is a suspect in an attack Monday on a 73-year-old man as he was entering his home on East 81st Street and Second Avenue. The victim was threatened with a knife, and his cellphone and $200 were stolen. 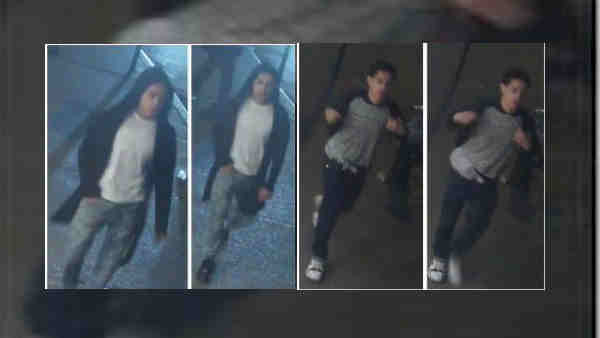 According to the New York City Police Department, another man mugged a 17-year-old in Central Park at around 11:30 p.m. Sunday. The victim was punched in the head and knocked to the ground; $150 was stolen from him. Police still are looking for the person of interest in the Central Park incident. he is described as a Hispanic man, 16-20 years old, last seen wearing a wearing a shirt with black long sleeves and black and white print on the front, dark blue jeans and sneakers. Muniz and the person still at large are linked, police said.